At least not in the upcoming January transfer window, anyway. We watched Jurgen Klopp’s press-conference today live from Melwood and were intrigued when he was asked about the forward who’s yet to find the back of the net in the Premier League this campaign. Sadly, Klopp confirmed that the 27-year-old is not fit to face Bournemouth on Sunday lunchtime due to a calf problem which kept him out last weekend too, and that this was far more important than discussing invented transfer rumours. “I don’t think it makes sense (to sell). There’s absolutely no thought to sell any first team player in January!” he began, when asked about West Ham United’s potential interest in our no.15. “Unfortunately, Daniel is not in training. That is more important than transfers. “You and your colleagues create stories and then ask me about them. There is no thought of selling any player from 1st team squad. Klopp’s aim in January is to strengthen, specifically out wide to cover for Sadio Mane’s AFCON absence, especially considering Coutinho will only just be back from his ankle ligament injury by then as well. 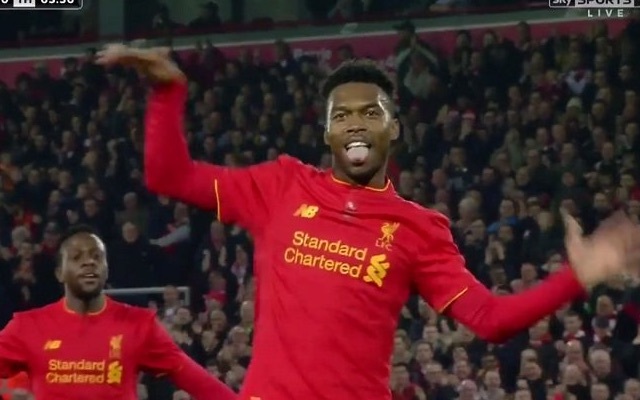 When we’re challenging for the title, there’s no reason at all for us to sell – especially a match winner like Sturridge. Long term, his future is probably less certain, but for now, his only concern should be getting fit. It’s irritating that even minor injuries somehow keep the forward out for a succession of matches.